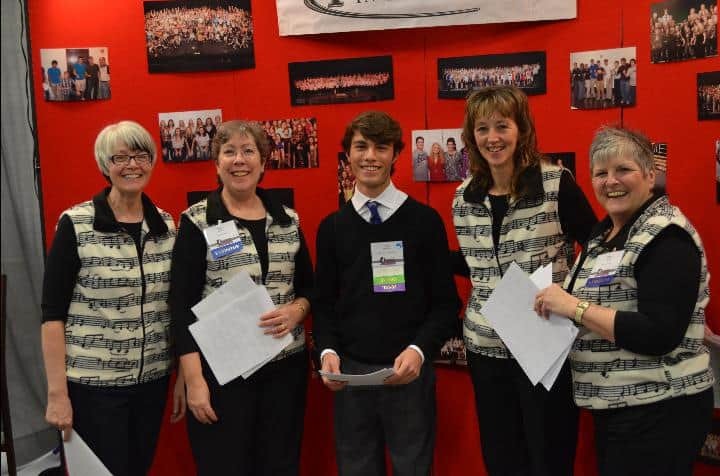 For some time now, Terry and Michelle Adams – he of the Bloomington Chapter and she from the Vermillionaires Sweet Adelines – have hosted a booth at the annual winter Illinois Music Educators Association (IMEA) meeting in Peoria, this year held January 22-26. 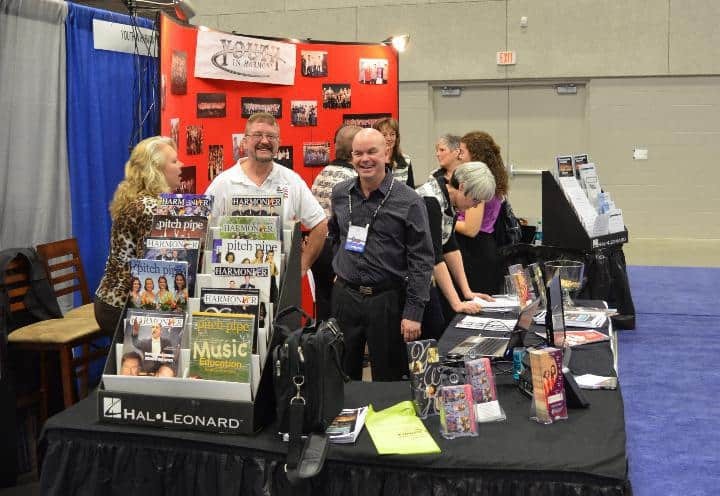 At not inconsiderable personal expense, the couple, with help from both the Illinois District and from the Sweet Adelines, have “personed” a booth amidst the cacophony from universities and schools, from music publishing companies to fundraiser offerings and full body massagers vendors. As usual, several students and educators stopped by and tried out a few pieces of the music. Even Jim Henry, who was serving as a guest choral clinician (which would be a whole story in itself), stopped by to check out the booth. Several other people were instrumental in helping the booth present a forward-thinking impression of barbershopping. Bloomington’s Greg Gray was helping out during the Saturday morning open public portion along with Peoria Sweet Adelines quartet Main Street. Next time you see either Terry or Michelle, give a big “Thank you!” for going out of their way to bring barbershop to a new generation of singers and educators.